Carolyne Roehm 80s Tuxedo Jumpsuit Size 4. 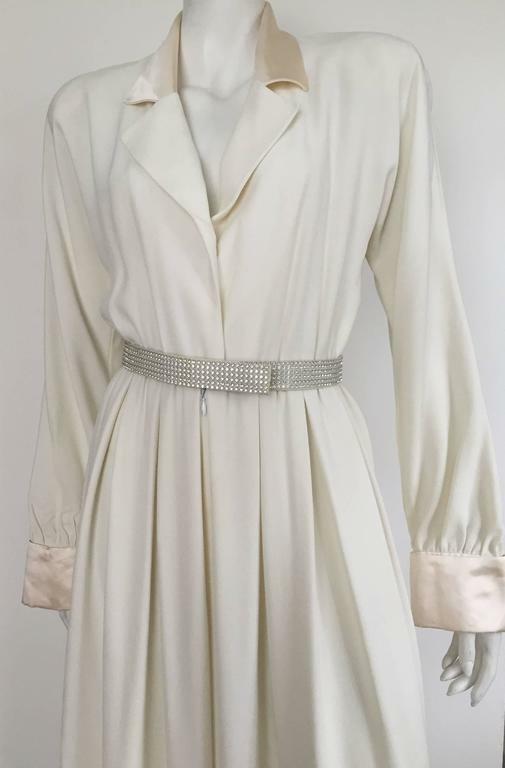 Carolyne Roehm 1980s elegant cream wool crepe tuxedo jumpsuit with rhinestone belt size 4. 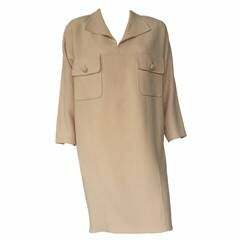 Silk collar - lapel - cuff give this very chic jumpsuit its sophisticated look. Shoulder pads and is completely lined. 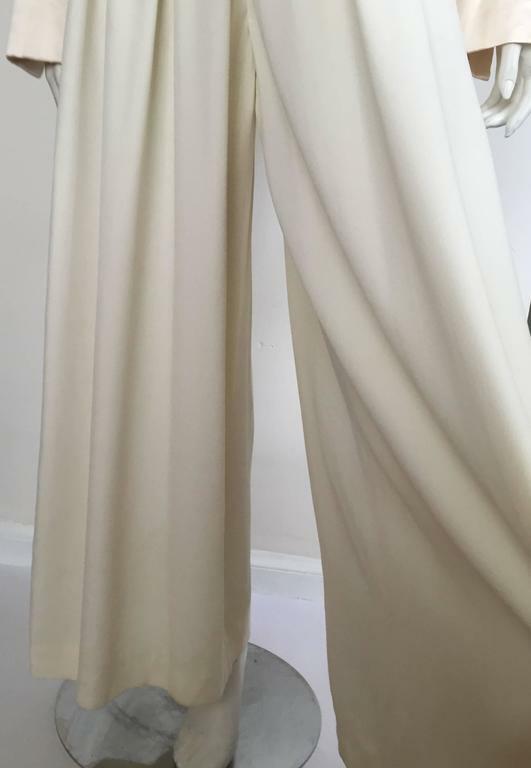 Someone call Joan Crawford and let her know that her tuxedo jumpsuit is ready for her next cocktail party... Measurements are: 38" bust 27" waist 29" inseam 25" sleeves 62" height. 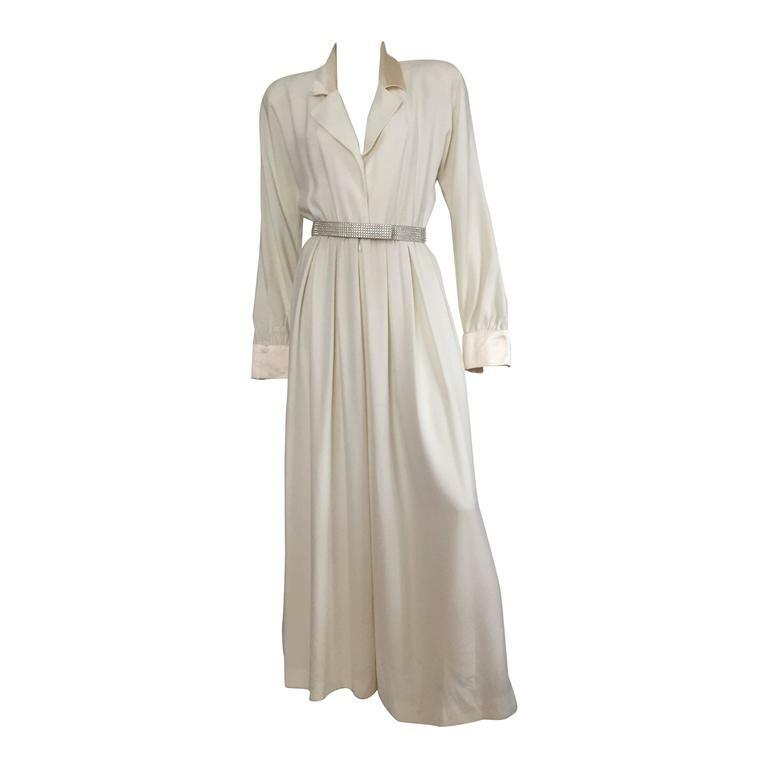 This tuxedo jumpsuit gown was just dry cleaned there is a small amount of yellowing &amp; stains at very bottom of hem but not real noticeable. This is a rare gorgeous treasure that raises above. 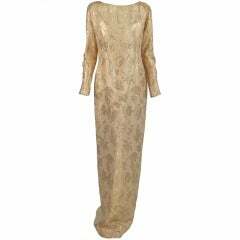 Carolyne Roehm Cream Wool Dress With Pockets Size 12. 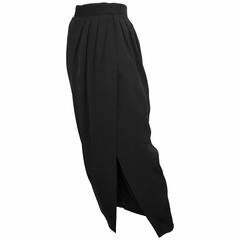 Carolyne Roehm Black Long Evening Wrap Skirt Size 4. 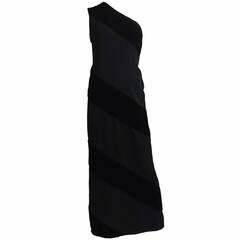 Carolyne Roehm, B. Altman & Co.
Carolyne Roehm Black Velvet Gown Size 8. 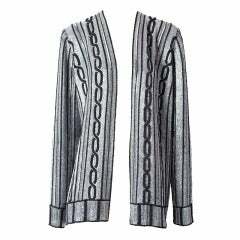 Carolyne Roehm, silver grey, beaded evening cardigan with vertical, navy blue cable pattern and stripe detail. 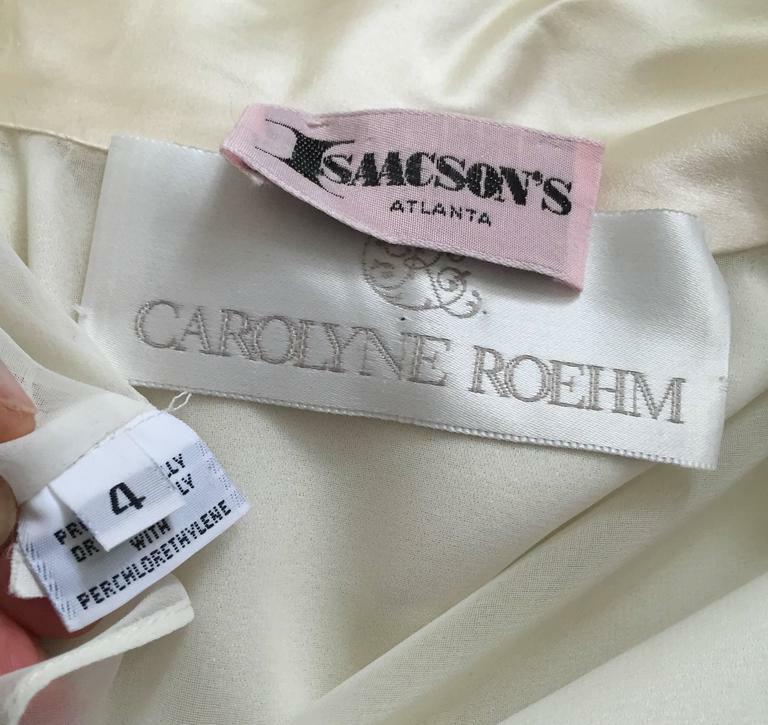 Carolyne Roehm, purple satin, evening gown, with a "peek a boo" neckline with tasseled, rhinestone, jeweled embellishments at the neckline and cuffs.